Club Penguin Cheats by Mimo777 Club Penguin Cheats by Mimo777: Club Penguin March 20 Featured Igloos! 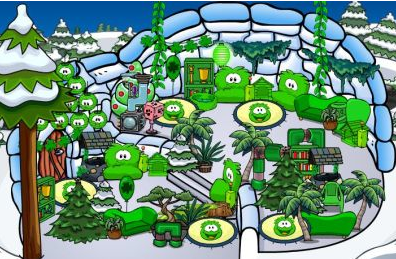 Bryna1 said: "Hi, you HAVE to check out my friend Gogleyfart2's igloo it is FULL of puffle stuff! PLEASE CHECK OUT HIS IGLOO!" Sycho1 said: "Hi!!! 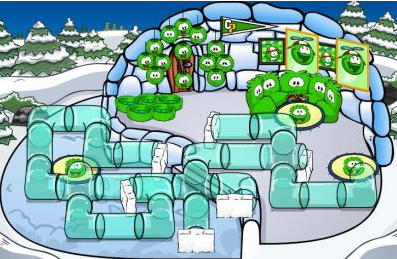 My friend Hman104 has a great igloo. It's always so different!!! 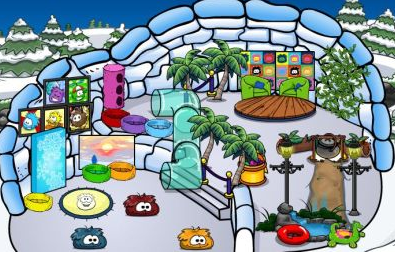 Right now part of it is puffle themed and part of it is outdoor themed!!! It is AWESOME!!! Waddle on CP!!!" Zuzuzu160 said: "Hey I think that Zukky2's igloo is awesome! She has tubes and a tree made out of puffle lanterns! It's just so amazing about where she gets all those coins!" If you have a friend that you think has a sweet igloo, nominate them here. Yay! Yay! Yay! I met PH today and was so excited when i got her stamp! She is also my friend now! B.T.W. -> When I first saw the stamp (when i earned it) in the top-right corner, I saw it was green (Meaning very easy) But then when I looked at it in the stamp book, i saw it was blue(Meaning Hard). OMG I SAW THE WEBSITE UPDATE!!! YOU WERE IN A MAGAZINE?!?!?!?!?! When you got to the telescope in the lighthouse, there is rockhoppers ship leaving the island. But, to the right, there is a red sparkly diamond. Maybe a new party?